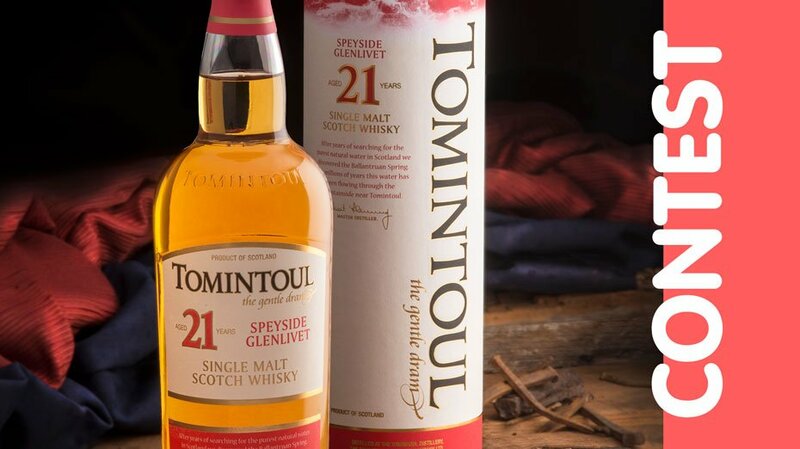 This year we’ve partnered up with Tomintoul Single Malt Scotch Whisky, to give you an opportunity to win a bottle of Tomintoul 21 Year Old. Nose: Exudes maturity. Orange blossom honey, summer fruits and new-mown hay frolic with a delicate nougat sweetness. Palate: A subtle balance of malty sweetness and spicy oak tones. Mature fruit cake flavours emerge, tinged with hints of sigar box. Contrives to be light yet complex. Finish: Drying without hurry, with a climbing spiciness.